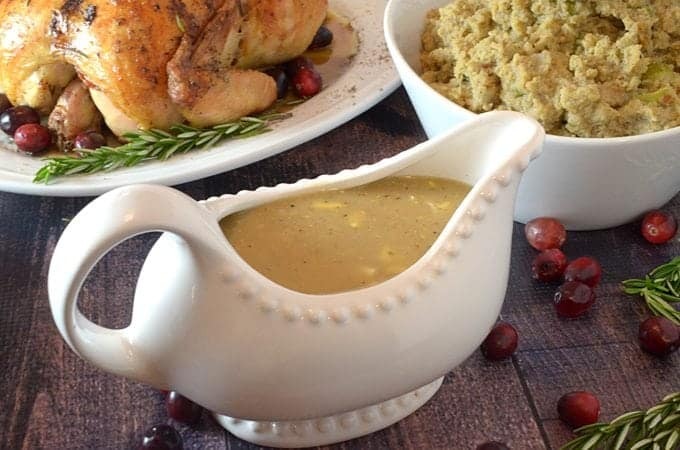 That is a great looking gravy — looks comforting and delicious. Perfect to make during this holiday season. This looks like the perfect gravy! I can’t wait to try it for Thanksgiving! Your turn to try this homemade gravy, Paula! It doesn’t get any better than this for dinners and parties! Truth! 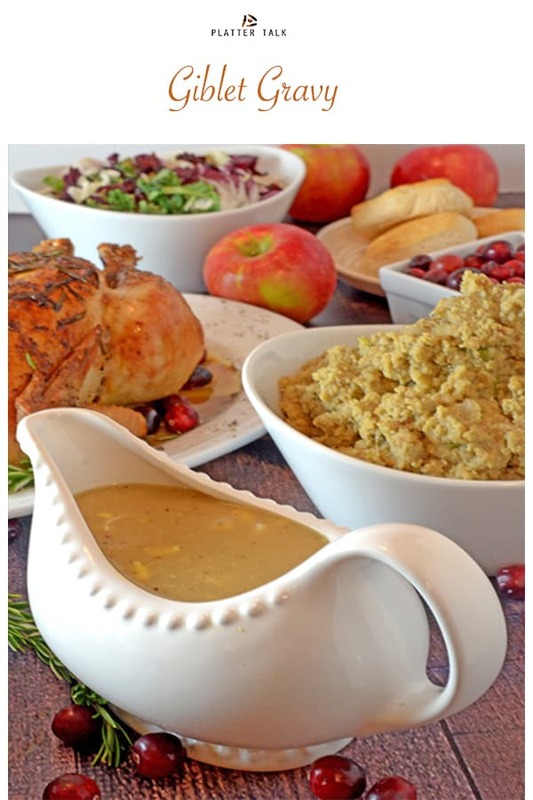 I hope you try this giblet gravy soon! Awesome! I love this idea looks so tasty, can’t wait to make this! I grew up with giblet gravy two different ways. 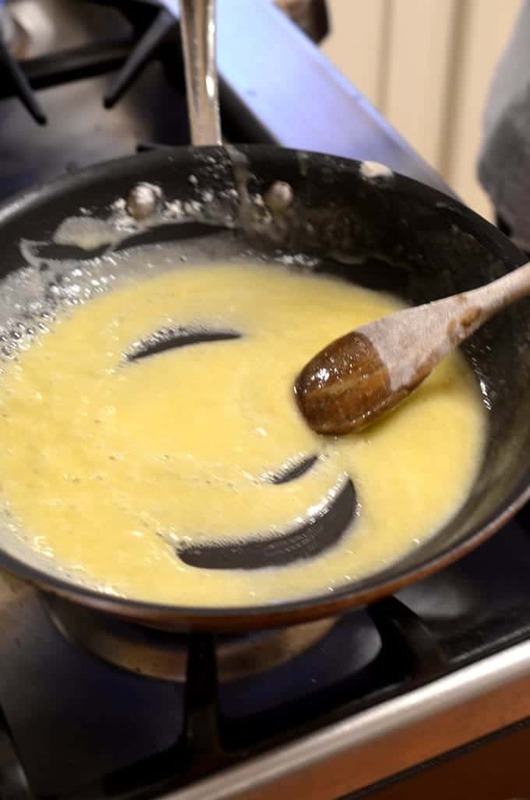 One was chopped up like this, the other was boiling them to make a broth, then adding turkey drippings to make a roux. Haven’t done it that way myself since I was a teenager and living at home. Sounds like fun and delicious memories, Michelle! So great to hear from you. I’ll be using this for thanksgiving this year thank you! Thanks for the comments, Amanda. 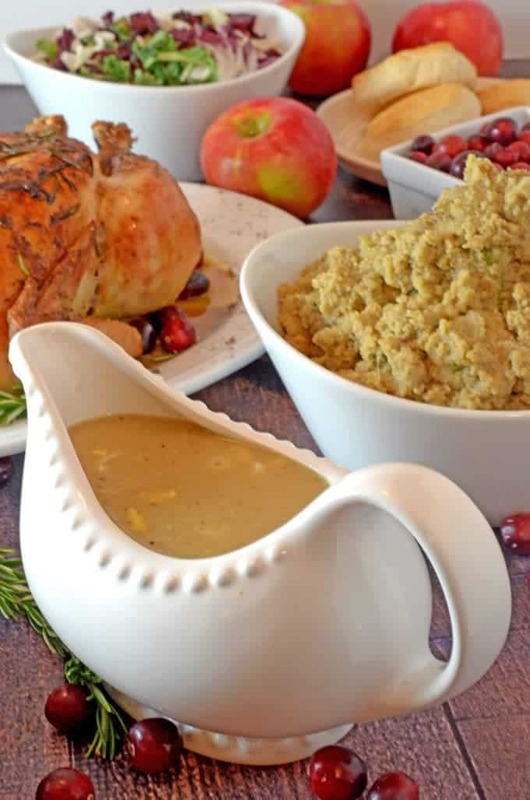 You’re going to love this giblet gravy! I make homemade gravy for the holidays but never made it from giblet! I need to try your recipe! 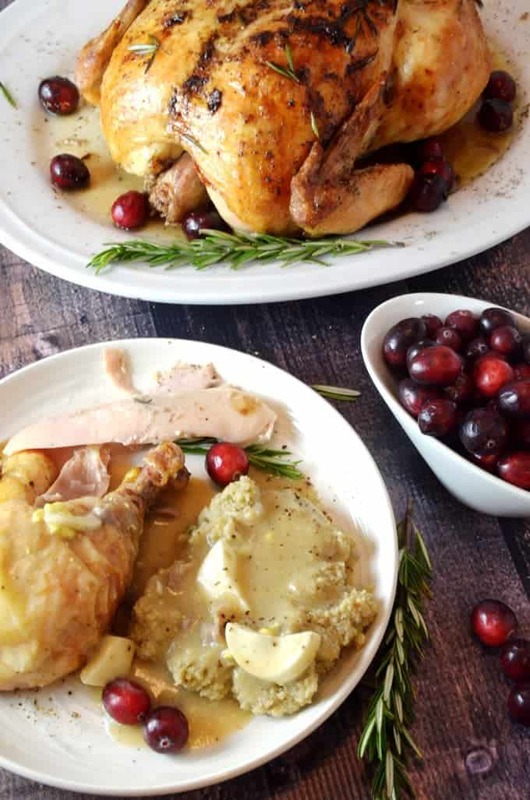 Anna, we hope that you try this giblet gravy soon! Thanks for the comments, Jack! This is just one recipe that makes me randy for the holiday season to arrive! Thanks for the wonderful comments, Dawn! I had no idea that you’re in Newfoundland! I hope you get to try this gravy sometime and happy August to you! 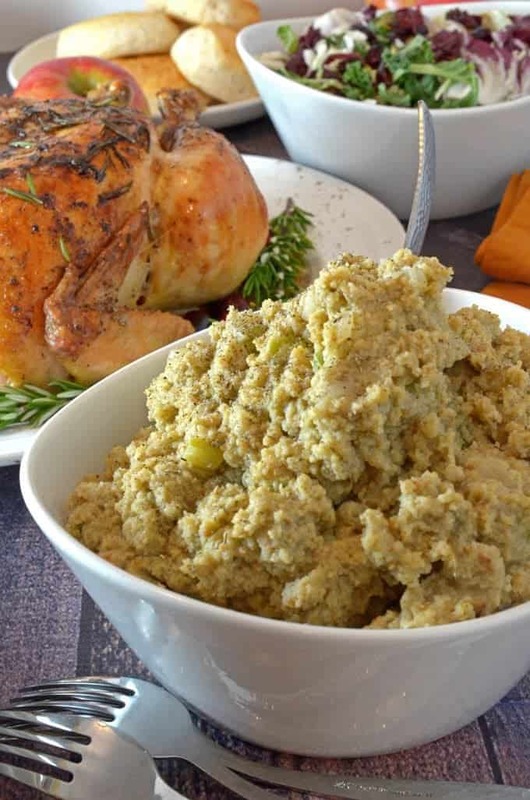 I always add giblets to my turkey stuffing, but now will add them to the gravy, too. I bet they add a delicious depth of flavor! Liz, you’re spot on! I wouldn’t go near them as a kid (in my mom’s dressing) but now I “get it!” Thanks for the great comments. Is 48 ounces of chicken broth correct? Seems like alot of broth. I want to make this today! This recipe was made as written. Feel free to adjust the volume of broth or reduce while cooking, to your desired amount and consistency. Thanks for the question and thank you for reading Platter Talk! Looks just like my dear Nana’s Giblet gravy! I’ve missed my Nana and her giblet gravy on Thanksgiving! I’m thrilled that you shared this recipe and a video on how to make it! 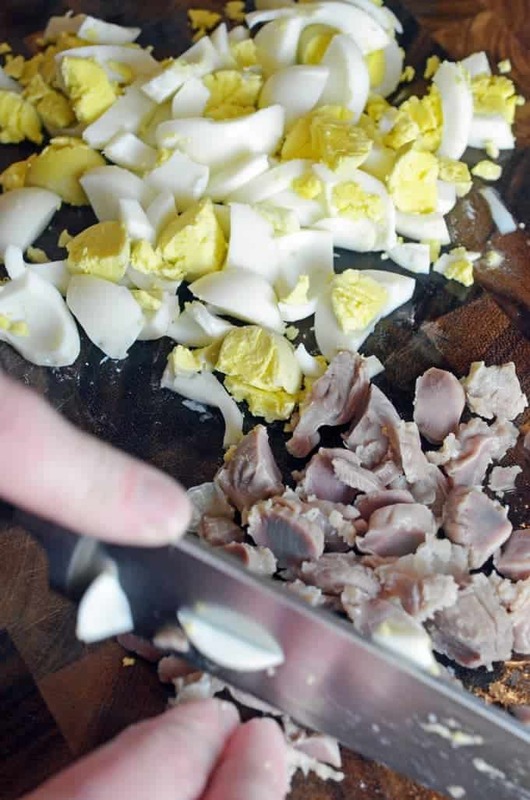 Would you be so kind as to also share how to identify and cook the giblets and liver as well? Seriously. 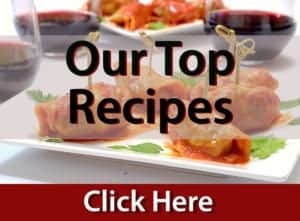 I’m a novice cook and am clueless. Thanks for your help! ???? The giblets are usually packed in a separate package, often inside of the cavity of the turkey. Alternatively, many grocery stores sell packages of turkey giblets individually. The giblet gravy is almost identical to my mom’s. The only difference, she would boil the giblets and use that stock for the gravy. Everyone always forgets about the hard boiled eggs. I remember watching my mom make this every year for Thanksgiving and again at Christmas. My mom was a terrifuc southern cook. She was originally from Southern Florida. Thanks for the great comments, Kris. Your mom’s gravy sounds wonderful but most of all I love how this recipe from our friend can evoke such wonderful memories of your mother. I have to make this for Thanksgiving! It would be such a hit at my house! We’re always in search of the perfect gravy recipe! We’ll give this one a try! You are making me count down the days until Thanksgiving. This is the only way to make gravy in my book! Looks fantastic! We love Thanksgiving too, Michaela! My friend Nicole moved to Texas and the hard boiled eggs in gravy is a thing. I’ve never added them to gravy but have always giblets, they are just my favorite. I also add them to the stuffing – love the flavor they lend. So it looks like you have dinner ready for the holidays…. can I get an invite?!!! Looks delicious! You have an open invite, Debra! I am all about the gravy and this one sounds amazing! I want to pour this on EVERYTHING, yum! 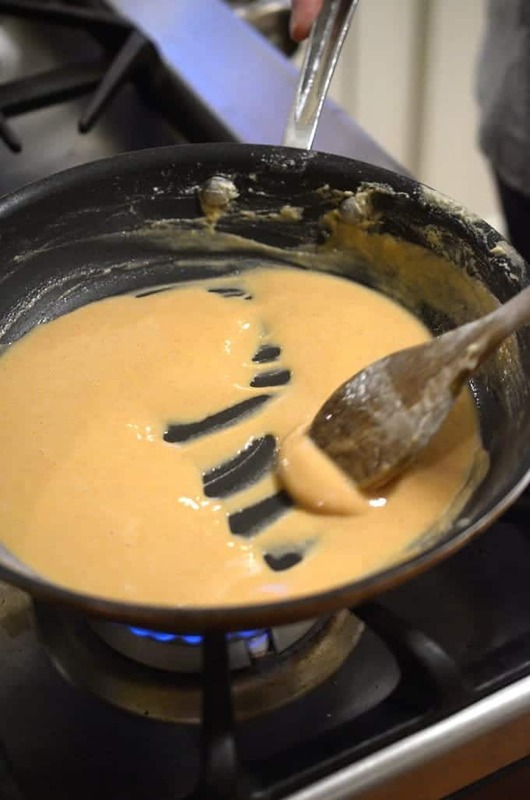 Great tips on making the perfect roux! To me the gravy completes a traditional Thanksgiving meal. Nice addition with the boiled eggs too. You guys have me wishing Thanksgiving was tomorrow! This crazy sounds absolutely perfect!!! I think we may have to have a mini pre thanksgiving dinner next week! As always, a wonderful recipe! Someone came in and stole summer and replaced it with fall! 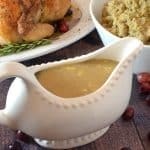 I love a great gravy and even though it’s a must for Thanksgiving good gravy is a must all year-round. Thanks so much, Julie and I completely agree; gravy is great for any season. Wishing you a beautiful fall season! 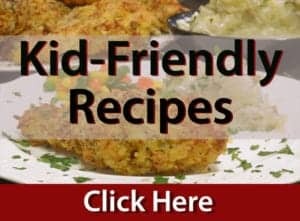 Tried this recipe and it is not what I’m looking for. You’re going to think this next comment is going to sound ridiculous, but this gravy recipe tastes just like everyday gravy. My wife used to make giblet gravy for thanksgivung and Christmas and it tasted entirely different. I believe she used corn starch rather than flour …. and perhaps that is the difference. Anyway, I’ll keep looking and trying recipes until I find what I’m looking for. Thanks for the uplifting comments, David and best of success on your journey to a better-suited gravy. Lovely!!! Can’t wait to try it. Thank you for sharing that. It must be yummy!!! We can’t wait for you to try this! As always, your recipes look delicious. I never have seen eggs in the gravy. It is definitely worth a try. I love good southern cooking.